Russells new range of stretch tops offers an equally smart, ultra feminine alternative to our shirts with an immaculate finish and styling details worthy of a premium retail brand. 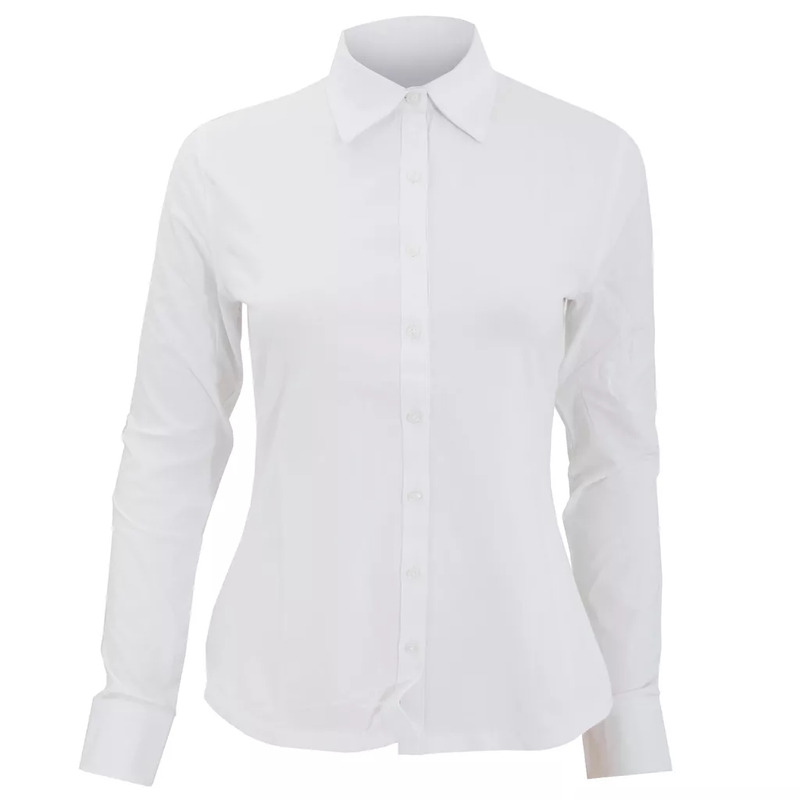 This shirt style option brings together the smartness of a shirt with the femininity and comfort of a top - the perfect combination that is best described as smartly elegant. Stretch shirt option with superior fit and finish from neckline to hem. 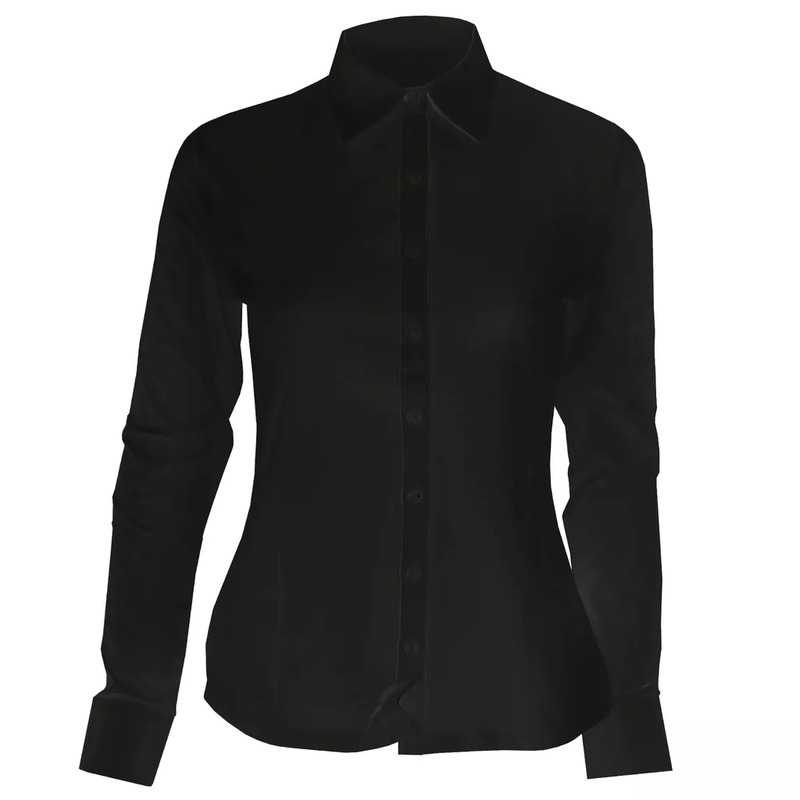 Wovan collar, cuffs and placket with stretch cotton body. Elastane content gives super soft hand feel and retains shape. Fabric quality ensures minimal showthrough. Single sizes available offering choice and fit. Longer, hip skimming body length to suit all shapes. Supersoft fabric ideal for decoration. Particularly suitable for more discreet print/embroidery. 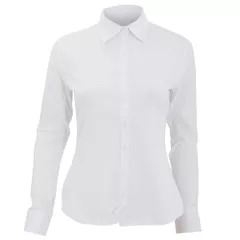 Woven collar, cuffs and placket: 97% Cotton, 3% Elastane - Stretch poplin. Fabric: 90% Cotton, 10% Elastane, 28 gauge. XS (30-32: To Fit (ins), 8: Dress Size). S (32-34: To Fit (ins), 10: Dress Size). M (34-36: To Fit (ins), 12: Dress Size). L (36-38: To Fit (ins), 14: Dress Size). XL (38-40: To Fit (ins), 16: Dress Size). 2XL (40-42: To Fit (ins), 18: Dress Size). 3XL (42-44: To Fit (ins), 20: Dress Size). 4XL (44-46: To Fit (ins), 22: Dress Size). RUSSELL COLLECTION - a variety of Mens and Womens corporatewear in a wide range of styles, colours and sizes.